This example is extracted from the Book edited by C. Girault and R. Valk. It features a race among a number of cars. When the starter receives ready signs from all cars, he gives the starting signal and the cars begin the race. For simplicity, we restrict the example to one starter and two racing cars. 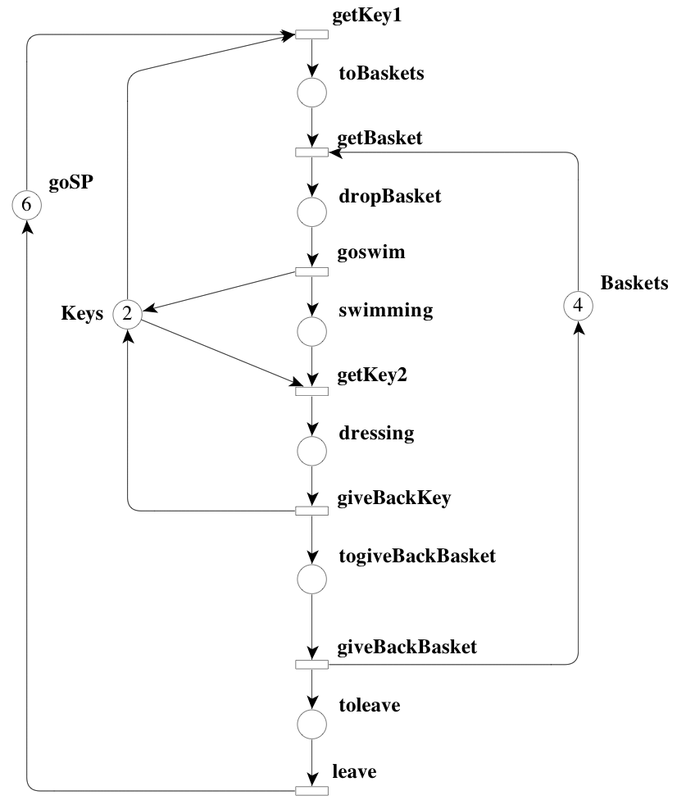 This system can be modelled by the Petri net shown in the figure below. 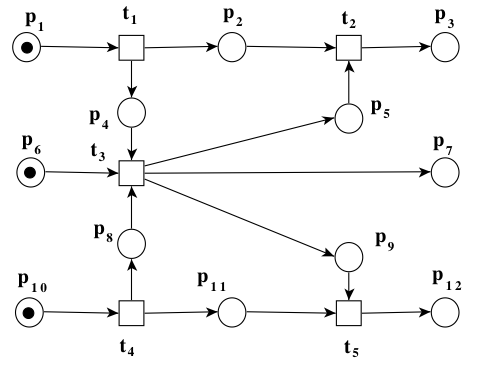 This system can be modelled by the Petri net shown in the figure below. We consider here that the swimming pool has 2 cabins, 4 baskets, and as most 6 customers.